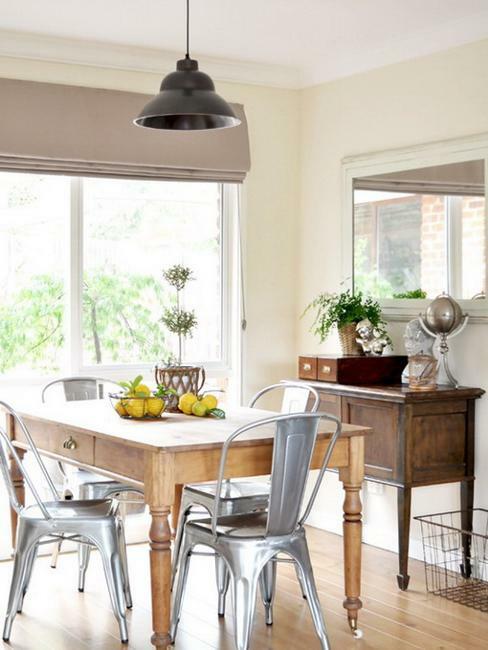 Dining chairs in various styles can beautifully mix and match with antique wooden tables. 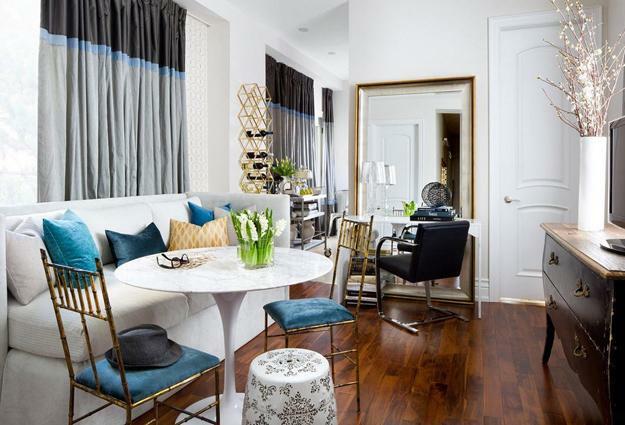 The key to a successful mix-and-match decorating is a surprising element and consistency at the same time. 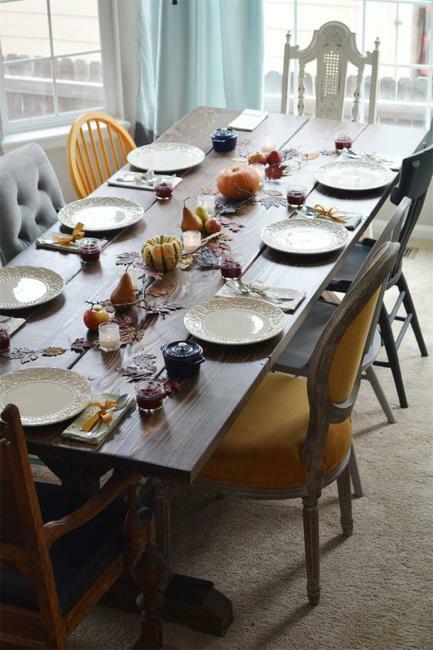 Antique dining tables group with contemporary, retro-modern, traditional, and country-style dining chairs, benches, and armchairs. Textures and colors may vary if the height, width, color or form is consistent. 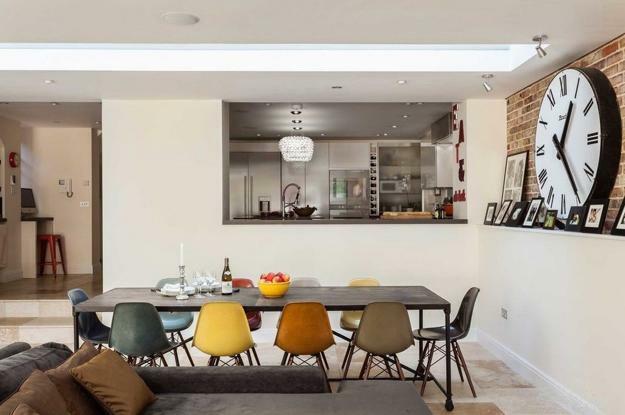 Here are beautiful examples showing how to mix and match dining furniture in various styles, textures, and colors, and create modern room decorating with old dining tables. 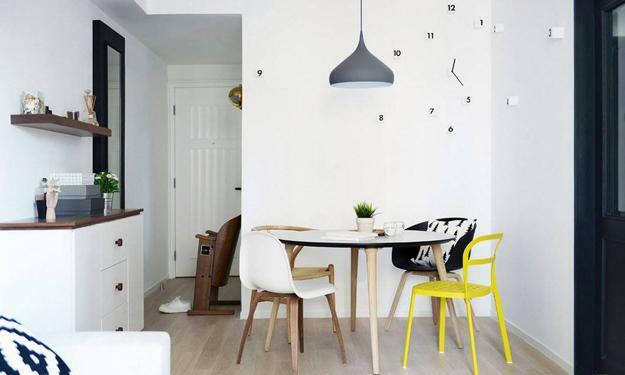 According to decorating gurus, dining chairs in bright colors work as stylish accents, transforming rooms with old wood tables, and adding interest to interior decorating. 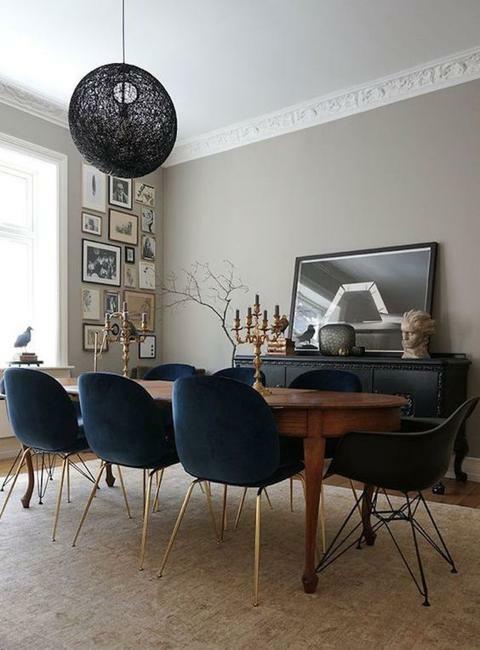 Designers often vary the styles and colors of the seats around the table while selecting retro-modern, contemporary or vintage furniture pieces with consistent height, width, and upholstery fabrics. 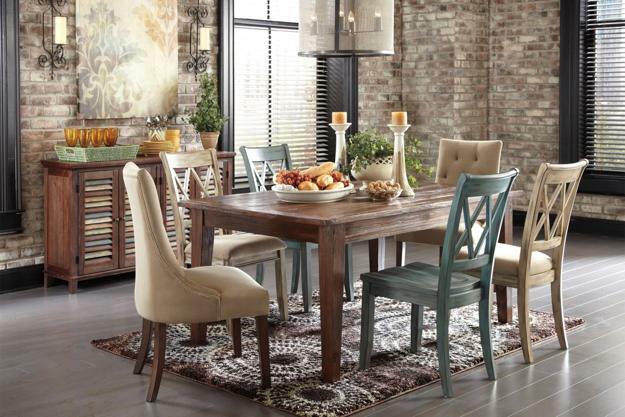 The dining chairs in different styles and colors need to feature at least one category which is consistent. 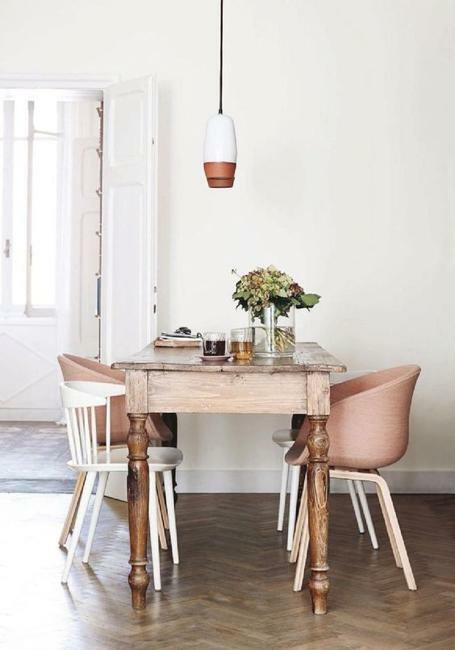 Lushome collection of modern dining room decorating ideas offer inspirations and tips demonstrating how to mix and match your dining chairs with antique tables while giving a touch of color to the interior design. 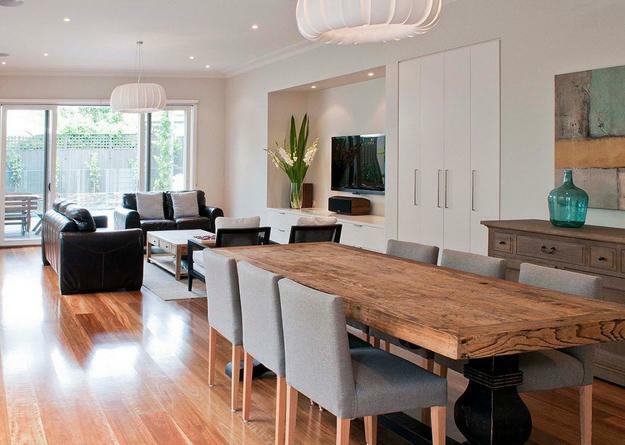 You can alternate the armchairs or add a bench. 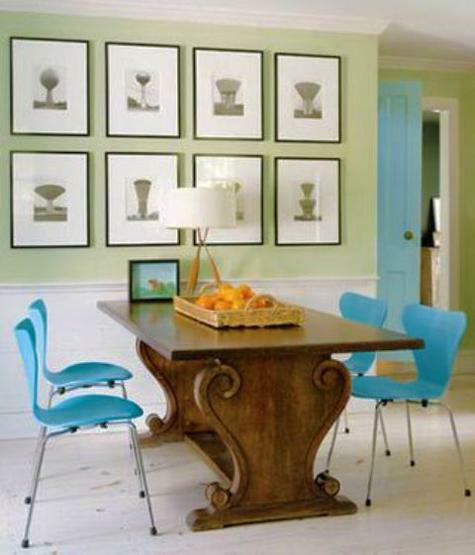 You can mix dining chairs in different shapes while keeping color or style consistent. 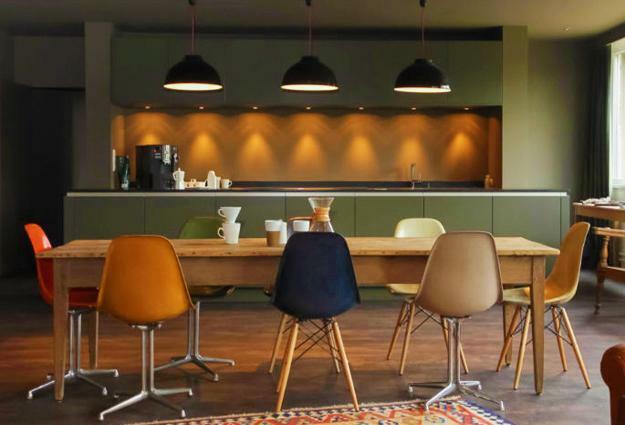 Mixing dining chairs designed in your favorite styles, like contemporary, retro-modern or vintage furniture pieces, is another excellent idea. It brings visual consistency as well. 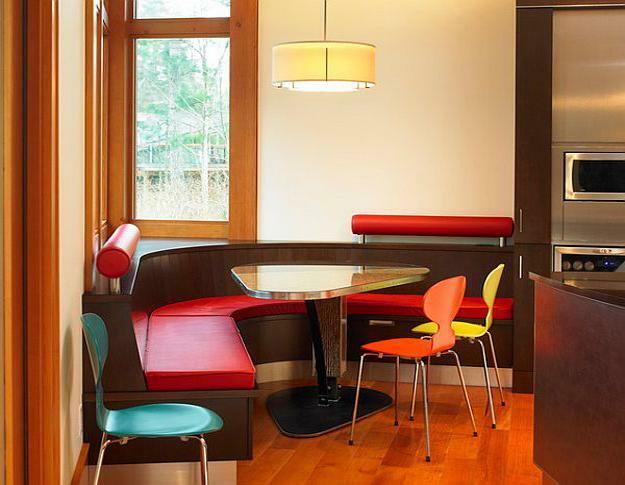 Colors are excellent tools to use in modern dining room decorating. 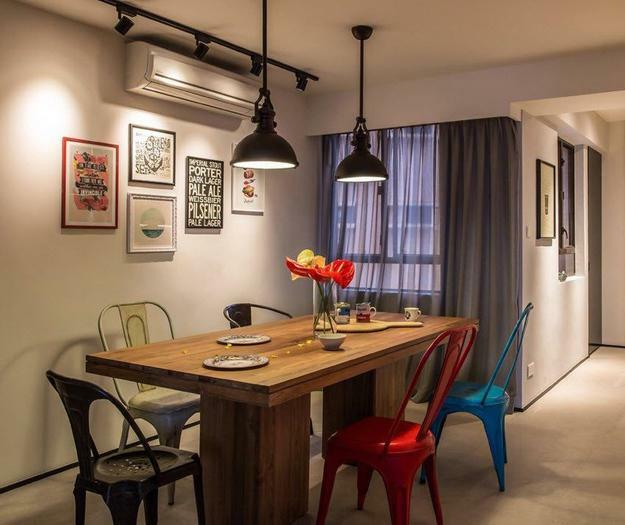 You can design a monochromatic color scheme mixing furniture items in different styles or alternate the design, texture, and color. 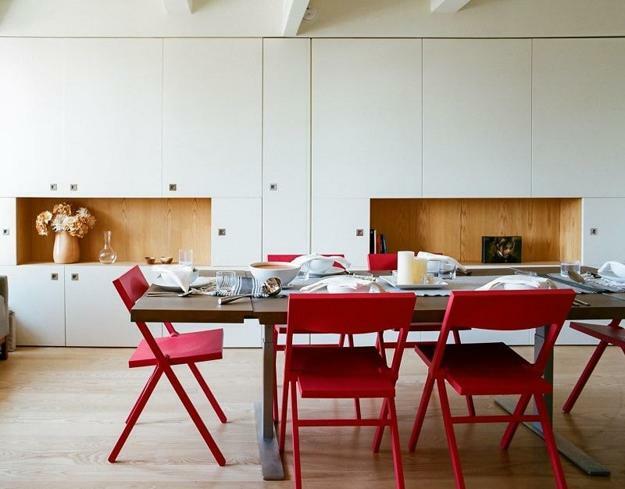 You can group dining chairs in complementary shapes and bright colors also. 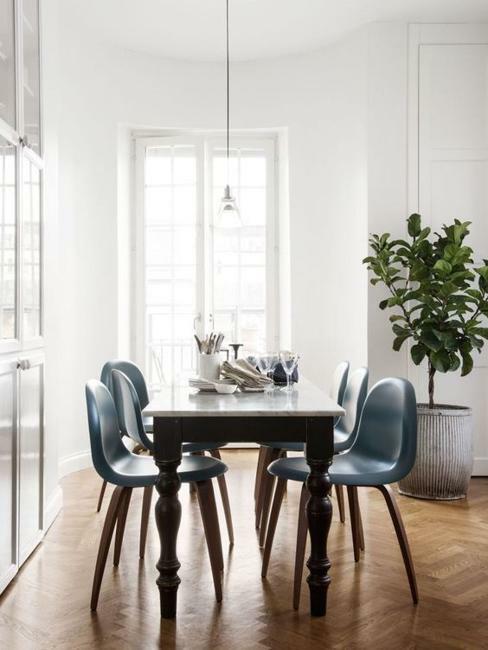 Sleek lines and classic curves look beautiful together, and matching colors are the perfect idea for modern dining room decorating. 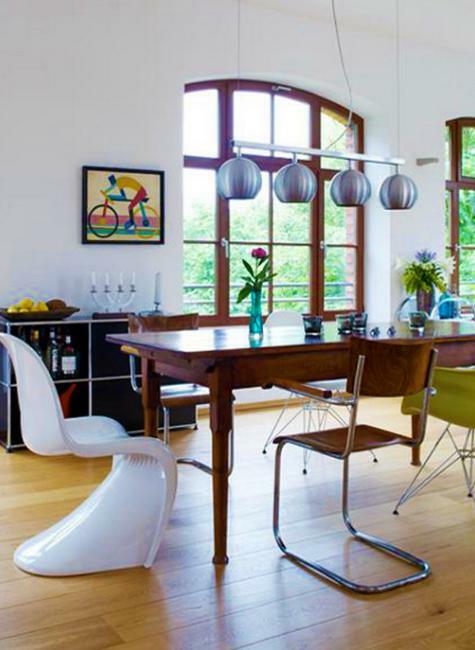 An antique wooden table and modern chairs add surprising contrasts to the interior design. 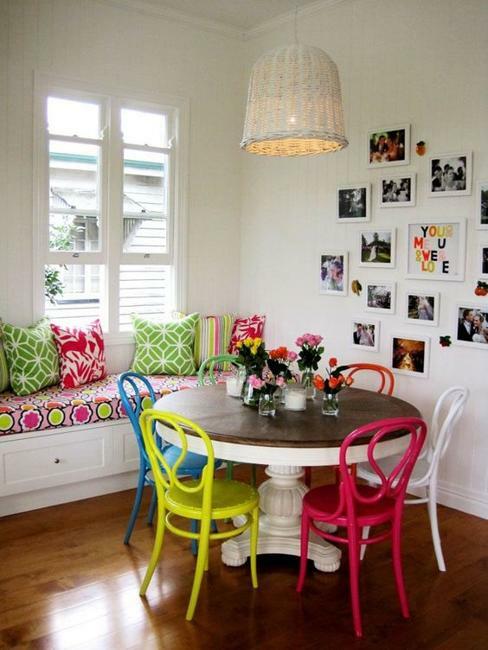 Bright hues, matching or contrasting colors brighten up space and add character to your dining room decorating.